Spring into pink! 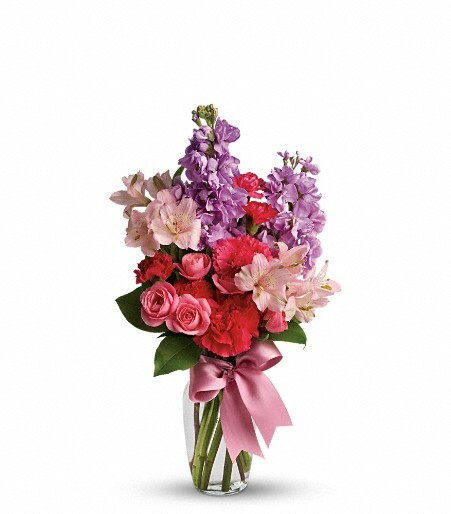 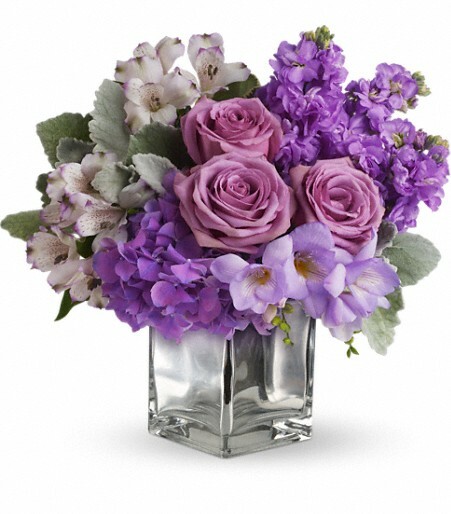 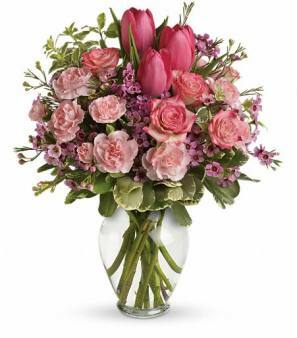 Delicate roses, tulips and carnations fill a graceful vase with a cheerful expression of your love. 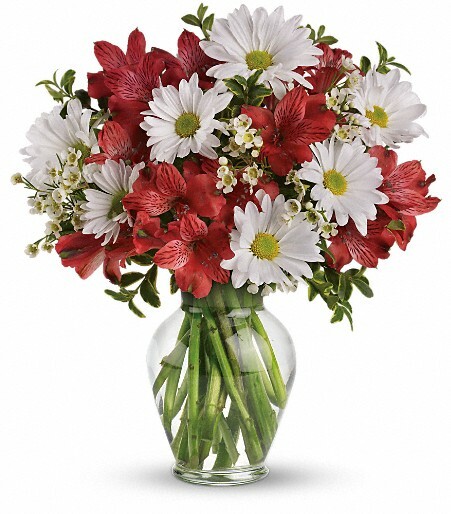 It’s affection perfection!